According to Addis TV information, the diplomat said he expects to sign treaties in sectors such as trade, industry, tourism and customs cooperation.Mulugeta urged Russian entrepreneurs to invest more actively in Ethiopia, after considering that the current state of collaboration does not adequately reflect the strength of a bilateral relationship of more than 100 years of antiquity, the Fana Broadcasting Corporate states. 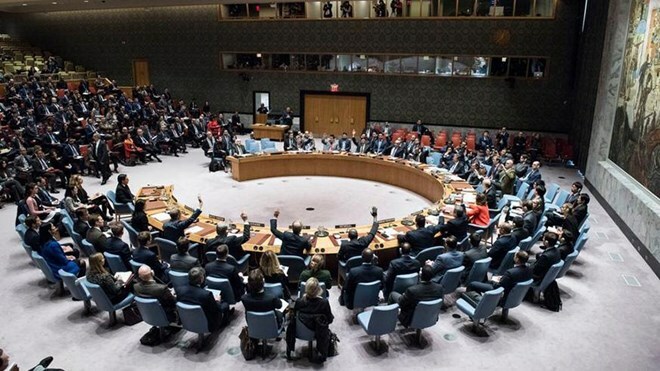 The resolution underlined the importance of UNSOM’s political, technical, operational and logistical support, in collaboration with the United Nations Support Office in Somalia (UNSOS), to the Government for the delivery of inclusive, peaceful, free and fair one-person-one-vote elections. It also urged the Government and the Federal Member States to increase the representation and participation of women and youth at all decision-making levels.On security matters, the Council urged the Federal Government and the Federal Member States to accelerate implementation of key security reforms, with support from UNSOM, UNSOS and the African Union Mission in Somalia (AMISOM). 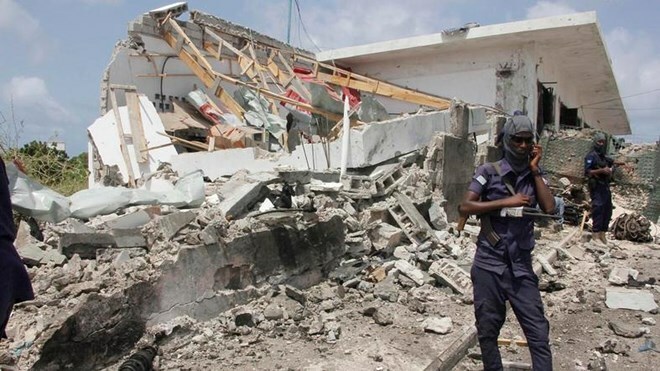 It also urged the Federal Government to resume implementation of a transition plan — with clear target dates — for transferring security from AMISOM to Somali security institutions and forces. 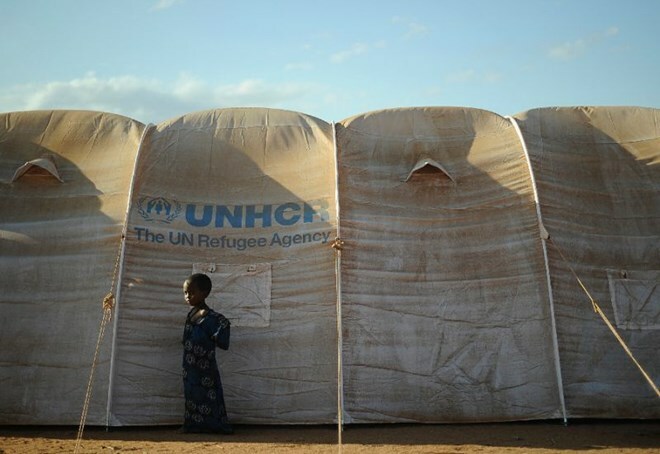 Nairobi (AFP) – A quarter of a million Somali refugees face violence back home if Kenya continues with plans to shut the vast Dadaab camp, rights groups warned Thursday. “Many Somali refugees are themselves victims of violence, from which they fled to seek protection,” said Otsieno Namwaya from Human Rights Watch, adding that the plan “threatens the rights and safety” of the people. “Forcing them to go back to face violence or persecution would be inhumane and a violation of Kenya’s legal obligations,” Namwaya added. “Kenya courts a humanitarian disaster and international criticism if it intends to forcibly return hundreds of thousands of refugees to Somalia without proper consultation, planning and regard for their safety,” Kenya’s Amnesty chief Irungu Houghton said. For many years Dadaab was the world’s largest refugee camp — with once as many as 580,000 residents — although it is now far smaller and dwarfed in size by Cox’s Bazaar in Bangladesh, home to some 600,000 people fleeing Myanmar. Kenya, which sent troops into Somalia in 2011 following a spate of kidnappings by Somali-led Al-Shabaab insurgents, claims the camp is a security risk. Kenya’s military remains in Somalia, prompting revenge attacks by the Al-Qaeda-linked Shabaab in Kenya. A year later, Kenya’s High Court ruled the plan to close the camp was unconstitutional. Defense One posted on 22 March 2019 a statement titled “To Protect Africa’s Oceans, Stand Up to China” by Yasin Hagi Mohamoud, foreign minister of Somaliland. 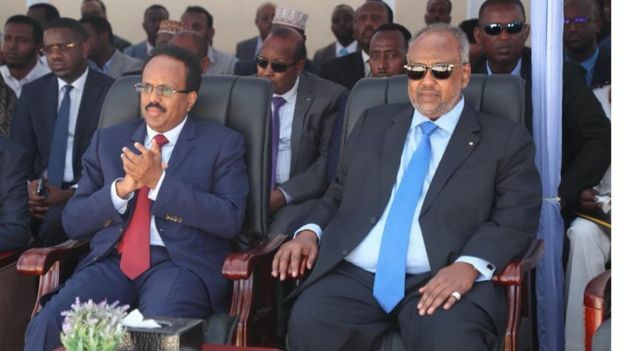 Somaliland declared unilateral independence from Somalia in 1991 and, therefore, denies the right of Somalia to make decisions concerning territory that it claims. Somalia’s recent decision to grant licenses to Chinese companies to fish in territorial waters claimed by Somaliland is a case in point. 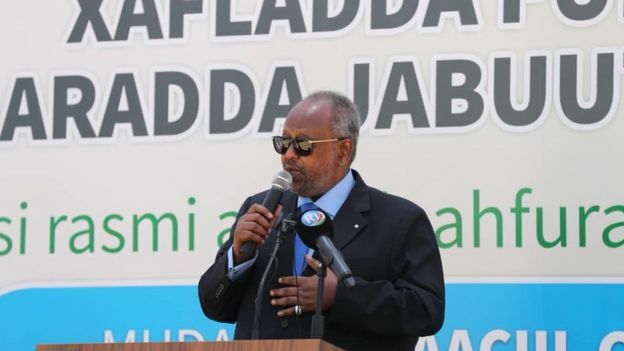 Somaliland Foreign Minister Yasin Hagi Mohamoud argues that China is not the only country with predatory fishing fleets, but its boats are the ones that have been invited into Somaliland’s waters. Absent an agreement with Somaliland’s Ministry of Fisheries in adherence with Somaliland law, he argues that Chinese fishermen would be imprudent to venture into Somaliland’s territorial waters. The Institute for Security Studies posted on 19 March 2019 a comment titled “Somaliland’s Fragile Democracy Faces More Election Delays” by Omar S. Mahmood. Elections for Somaliland’s Lower House of Parliament and the local councils scheduled for this month have been postponed to December for technical and political reasons. Foreign Policy posted on 22 March 2019 a commentary titled “Abiy Ahmed Should be a Natural Friend for the United States” by Daniel Benaim, Center for American Progress. The author suggests that Ethiopia could become the anchor of a more peaceful, less bitterly divided Horn of Africa–or descend back into dictatorship, mass migration, or even civil war. Ethiopia is a reminder that U.S. foreign policy should value not only avoiding the wrong partners, but also supporting the right ones. 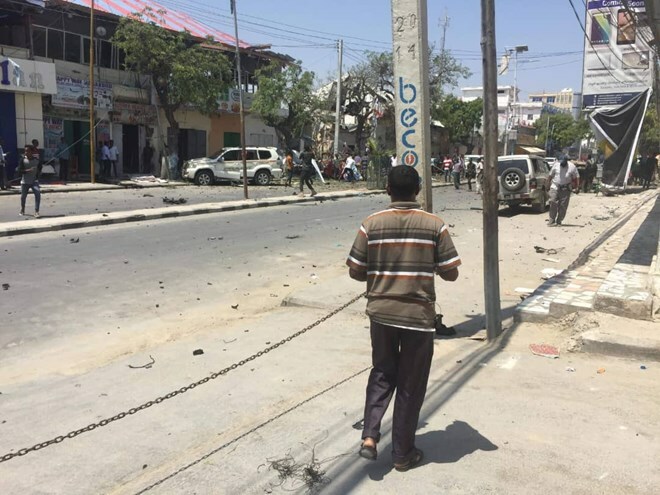 MOGADISHU (Xinhua) — The international partners on Tuesday welcomed reforms in Somalia’s security sector to help flush out the al-Shabab militant group. 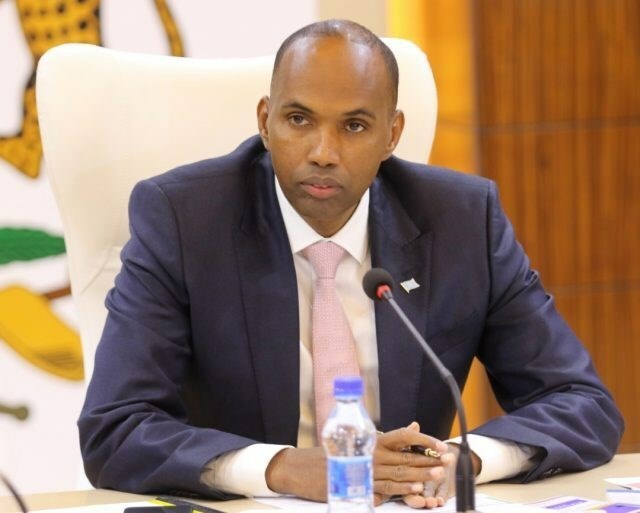 The partners from the United Nations, African Union, European Union, Britain, and the United States welcomed the initiative by Prime Minister Hassan Ali Khaire to brief them on reforms in the security sector and the government’s plans to continue to improve security. “We believe the full implementation of these reforms will contribute to stability and prosperity for the Somali people and the wider region,” the partners said in a joint statement issued in Mogadishu.They called on the stakeholders to support and coordinate collective efforts to help the government and people of Somalia achieve security, economic and political reforms through an inclusive dialogue process. 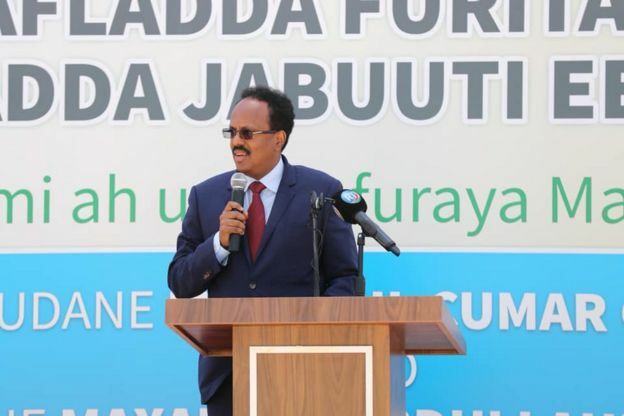 “We are encouraged by the determination of the Federal Government of Somalia to implement necessary security, economic and political reforms, and we underline our support for this work,” they said. UN Secretary-General António Guterres speaking during his visit to the Islamic Cultural Centre of New York, on 22 March 2019. UN Secretary-General António Guterres visit to the Islamic Cultural Centre of New York, on 22 March 2019. The Royal United Services Institute (RUSI) published in March 2019 an analysis titled “How East Africa’s Terrorists Build Their Brand Strength” by Matthew Freear, communications manager at RUSI’s Nairobi office. 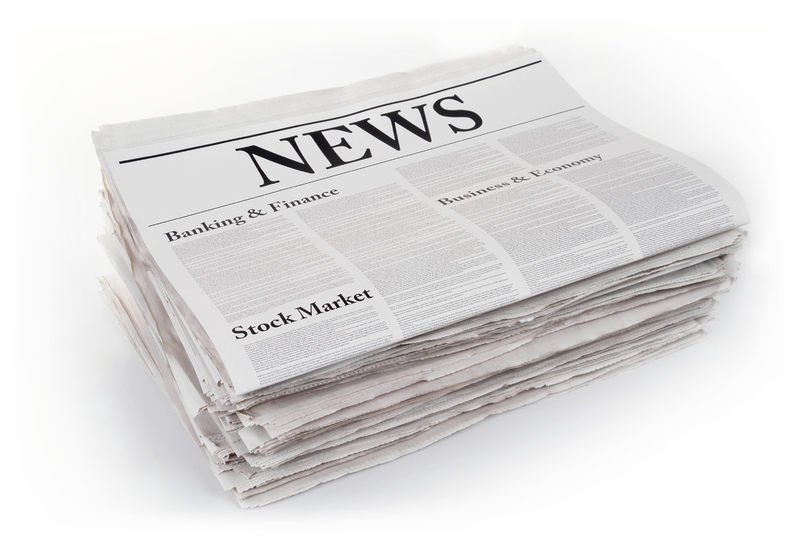 Branding is how an organization sustains relations with its audiences over the long term. Among other themes, al-Shabaab is determined to build an image as a credible alternative to the Somali government. The analysis explains some of the ways that al-Shabaab is having success with its branding effort. The study focuses on the different positions of Ethiopia and Egypt on the fill rate behind the Grand Ethiopian Renaissance Dam under construction on the Blue Nile so that the downstream flow of Nile water does not adversely affect Egypt. 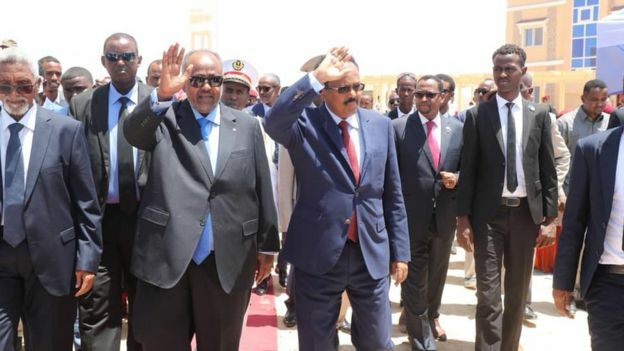 Foreign Policy posted on 19 March 2019 an analysis titled “For Somaliland and Djibouti, Will New Friends Bring Benefits?” by Matt Kennard, journalist based in London, and Ismail Einashe, journalist based in Nairobi. 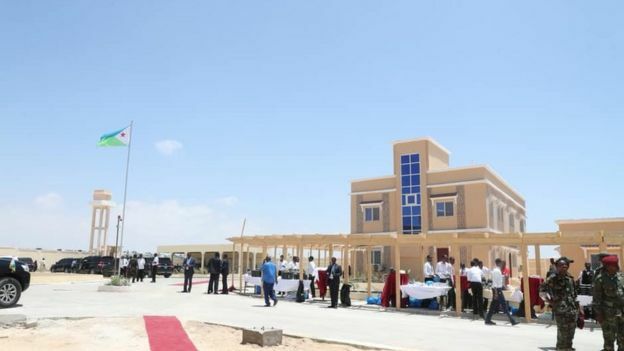 Garowe – The European Union jointly with the Government of the Puntland State of Somalia launched the third phase of the Puntland Education Sector Support Programme worth 7.3 million Euro. The initiative called ‘Waxbarashadu Waa Iftiin’ (‘Education is Light’) is implemented by CARE and Save the Children and in close coordination with the Ministry of Education and Higher Education, Puntland. It will enrol over 56,000 students over a 3-year period. It reflects full alignment with the education priorities set out in the Puntland Education Sector Strategic Plan (2017-2021) and Sustainable Development Goal 4. 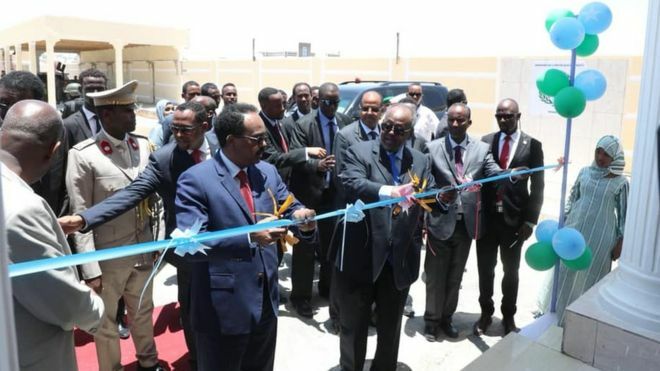 The President Said Abdullahi Deni of Puntland launched the programme at Peace and Research Development Centre in Garowe. The new programme will consolidate and expand the achievements made under two previous phases of EU support that have reached over 58,000 students; constructed 17 new schools, 228 new classrooms; and 66 Water, Sanitation and Hygiene (WASH) facilities. This new phase will add 16 schools, 84 classrooms, 23 Water Sanitation and Hygiene facilities and 4 secondary school laboratories. 200 new teachers will be trained while 300 youth will be equipped with marketable vocational skills. The programme also incorporates support measures for children with special needs, children from pastoralist communities and girls.“Education is essential in alleviating poverty, building peaceful societies and promoting social inclusion. In the face of security related challenges that Somalia faces today, educated youth are less likely to become radicalized, attracted to militias and join other destabilising activities. The programme we are launching today will go a long way in improving and expanding education and vocational training opportunities that will benefit Somali children and youth,” said the EU Chargé d’Affaires, Fulgencio Garrido Ruiz. Madaxweyne Farmaajo: “abaalkey Jabuuti noo gashay waan gudi doonnaa. 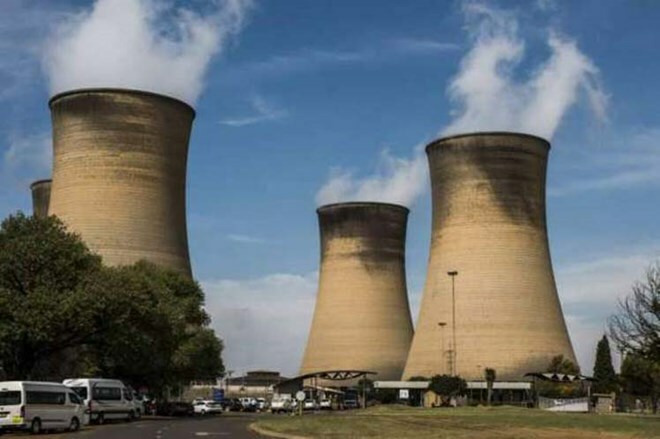 The New Arab published on 13 March 2019 an article titled “Iraq and Sudan Show How Climate Change Fuels War” by Austin Bodetti, a freelance journalist. 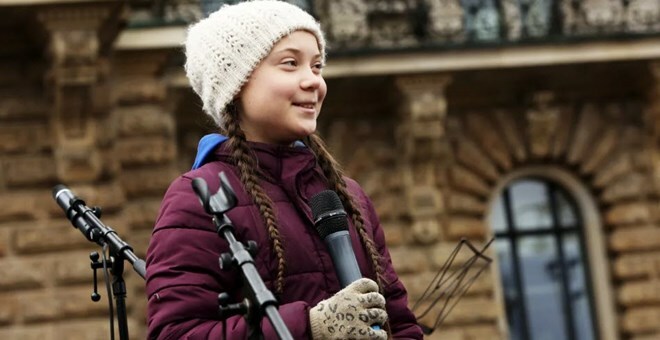 The author draws parallels between conflict in Iraq and Sudan, noting the negative impact of climate change and drought. The peace deal under discussion neither resolves the power struggle between President Salva Kiir and erstwhile rebel leader Riek Machar nor outlines a final political settlement for South Sudan. Rather, it establishes a wobbly Kiir-Machar truce and grafts it onto the previous failed peace terms. ICG argues that to stave off renewed civil war, external actors should urge the belligerents to strike new bargains on security and internal boundaries and accept a third-party protection force for the capital of Juba. Brookings posted on 12 March 2019 a proposal titled “Red Sea Blueprints: Designing a Forum for Gulf and Horn States” by Zach Vertin. It explains why there has not yet been a forum created for states on both sides of the Red Sea to discuss areas of conflict and cooperation. It concludes with four suggestions for creating a viable Red Sea Forum. Payroll peace is the practice of putting large numbers of soldiers and civil servants on the state payroll as an incentive for them, and the belligerent parties, to accept a peace agreement. This has become standard practice in South Sudan. The paper argues that at best it is corruption, at worst it is violently explosive.